A label to watch: Home of Millican, bags and bags of style - Well Dressed Dad - It is a proper menswear blog. Like, with original words and opinions and suchlike. 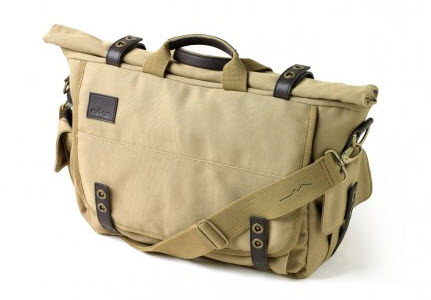 In a slight deviation from the typical “label to watch” post, this time I’m taking a left turn away from makers of fine and interesting garments and instead taking a look at a company making travel bagssuitable for a Well Dressed Dad. 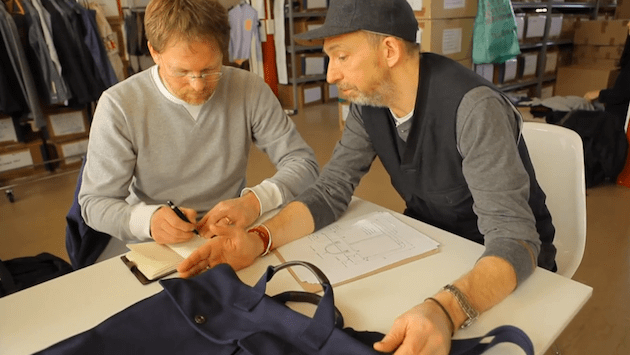 I’ve ventured this way before, when I was looking for a backpack suitable for a stylish man, and Home of Millican came out top of my list there, hence why I’ve been quite intrigued by them since. To start things off, there is a story behind the name of the company. While the name conjours up images of a quintessentially British company, steeped in heritage and proud purveyors to the Empire since year dot, they have actually only been in business since 2008. The owners of the company, Jorrit and Nicky, are long-time backpackers , passionate about the environment, vintage travel items, exploring the world and a life less hectic. The name Millican comes from Millican Dalton, a London insurance clerk who upped sticks from his comfortable life in 1903 and moved to a cave in the Lake District to become an alternative lifestyler, well before the term was coined. 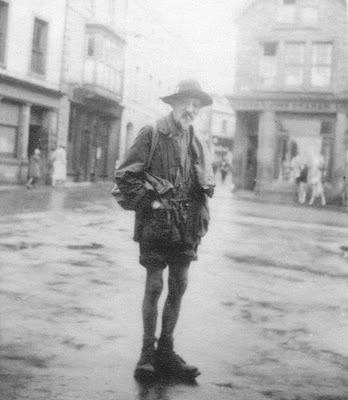 He spent the next 50 years there as a self-styled “Professor of Adventure”, living either in his cave or a wood shed, making a living as a climbing guide and and enjoying life as a vegetarian, pacifist and teetotaller. His story is fascinating, I suggest you read about him. 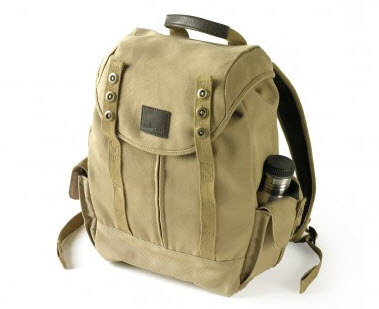 As a company, they have a focus on producing eco-friendly, sustainable and fair trade travel gear. 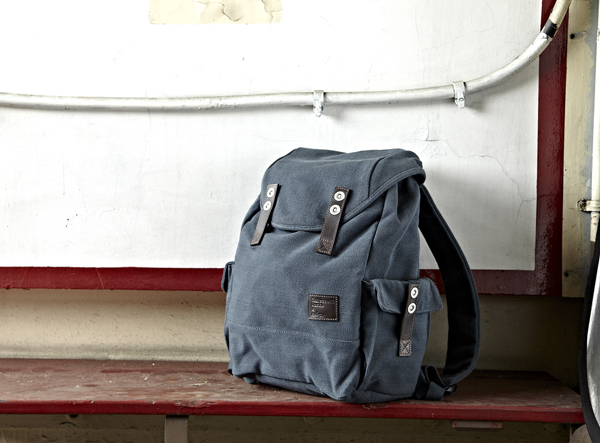 The bags are produced using mainly organic cotton, hemp, recycled polyester and vegetable tanned leather. Not the easiest of ways to operate, but it shows they care and for those of us that appreciate these things, it does make their bags even more compelling! Let’s not forget though that even the most eco-friendly bag in the world isn’t going to be desirable unless it’s actually both a top-notch design and a properly made bag in addition. And Home of Millican shine in this respect as well. I have a penchant for small companies, companies where you feel the people involved really care, where you might actually have the owner reply to your email. Millican is one of these companies. I initially discovered their goods in through their collaboration with one of my favourite makers of class garments, Universal Works. While collaborations are often of a dubious nature, where you wonder who is actually gaining any benefit from the two collaborators, in the case of HoM and UW you can see a similarity of both background and outlook. 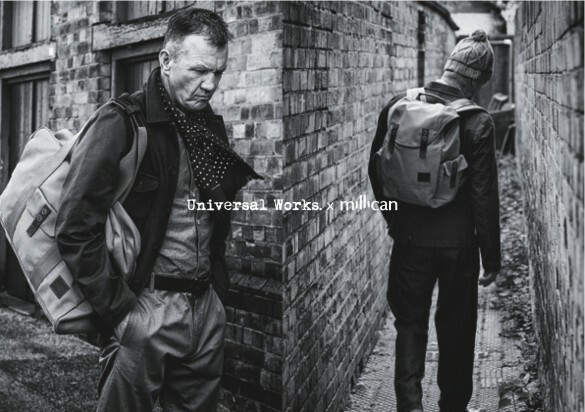 I like to think I can see some of the gritty northern influence of David Keyte (owner and designer, Universal Works), as well as the thoughtfulness and quality of build that Home of Millican is known for, showing in the designs. I’ve added a video right at the bottom showing Jorrit and David at work. As a mature man, I can’t help but appreciate the photos used in the advertising for the 2012 collaboration. Great to see a proper gent promoting the bags! To interject a side note, I feel the 2012 collaboration was a bit stronger than this years. In fact, while last seasons backpack looked really stunning, I think the non-collaboration Matthew is the nicer look this year. It may be merely down to the photos, as the design looks quite identical, but last years just looked a little more rugged and nice in a coarser material. What do you think? I suspect the change of material from cotton canvas to recycled polyester may be to blame. In my eyes, this years bag looks very much less special. I would suggest taking a look at Matthew the Rucksack as an option. It doesn’t have the cachet of the collaboration, or the lure of being a limited edition of 25, but it does look good! In summary, I recommend having a look at Home of Millican if you’re in the market for a new piece of luggage. 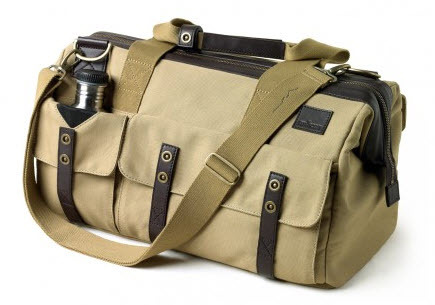 While there is a lot of choice on the market these days, I think Millican offer excellent bags at a pretty reasonable price level. 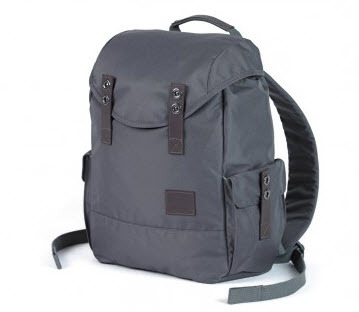 I’ll have them on my shortlist for when I next need a stylish backpack! If you’d like more info about where Millican are coming from, I’d suggest spending some time on their blog. As far as I can tell, we are talking good eggs here!